Game developer and programmer Sean (a.k.a. 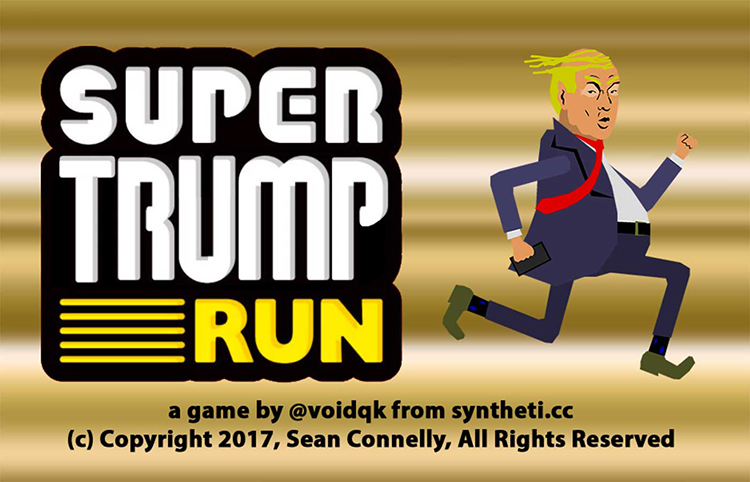 “voidqk“) has created Super Trump Run, a video game parody of Super Mario Run featuring Donald Trump. The object of the game is to keep your head above water, collect money, and avoid the press.